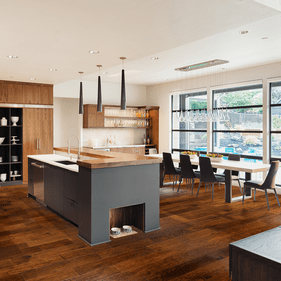 Johnson Hardwood flooring blends classic beauty and modern engineering that enhances all d�cor schemes and living spaces. You will enjoy rich rich details, fine grain and intricate patterns that mimic popular species with authentic aesthetics. 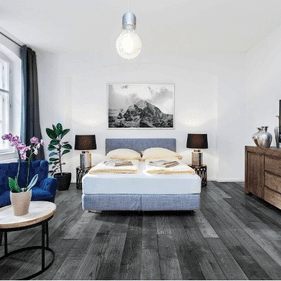 You can choose from 8 collections of hardwood floors that offer unique appeal with the similar benefits of rugged beauty, chic design and versatile applications. The color choices run the gamut and make it easy to create custom design effects in rooms of various dimensions. 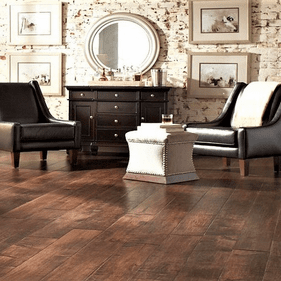 In general, the dark and luxurious shades of Johnson Hardwood English Pub or Frontier are well suited for formal spaces, such as living rooms, master bedrooms or dens. 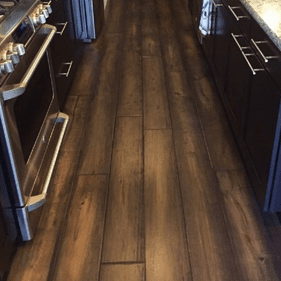 Since an engineered hardwood floor can be more stain and scratch resistant that solid counterparts, you may even consider these lineups as kitchen floors. Meanwhile, Johnson Hardwood Rio, Tuscan and Lexington bring an exotic twist in brighter and more radiant shades to your home. A living room clad in wide planks in lighter tones creates a welcoming feel that encourages guests to sit for a spell. 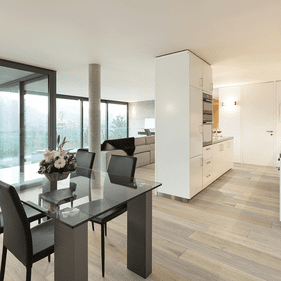 A hardwood floor's plank width also has an effect on the design setting you wish to create. 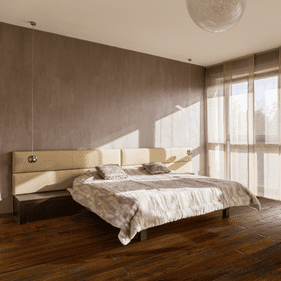 With various plank sizes in varying lengths, you can customize the ambience of living spaces with any of these rosters. 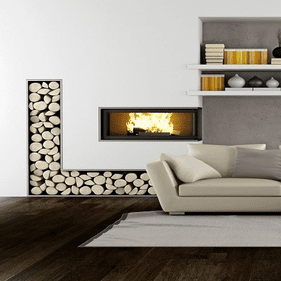 Our product experts can suggest how to emphasize or underscore color contrasts with your interior design layout. 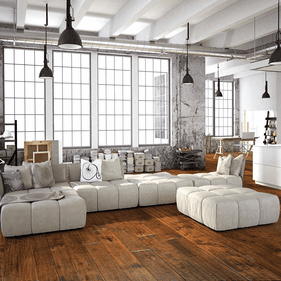 Common denominators between these engineered hardwood floors are a manufacturer's warranty and several installation options. 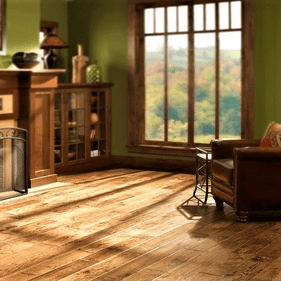 You will have peace of mind knowing these collections are resistant to moisture damage and boast thickness that deaden noises from foot traffic, such as creaking planks that plague thinner counterparts. The surface is easy to clean and you can choose from various finishes that range from glossy chic to an understated matte look. 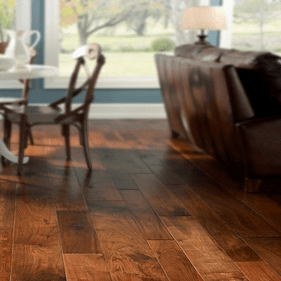 Please call us to buy Johnson Hardwood flooring or with questions. 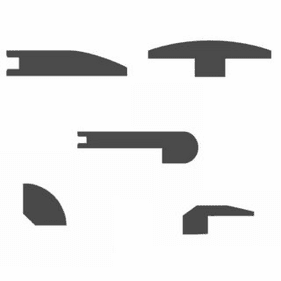 We are happy to assist with your order and provide square footage estimates.